The sea has a long memory. When the water in the deep Pacific Ocean has seen sunlight the last time, Charlemagne was Emperor of the Holy Roman Empire, the Song Dynasty ruled China and Oxford University was just established. During this period, between the 9th and 12th centuries, the Earth's climate was generally warmer, before the chill of the Little Ice Age - around the 16th century, began. Researchers from the Woods Hole Oceanographic Institution (WHOI) and Harvard University have found that the Pacific Ocean has lagged for several centuries due to temperature and still adapts to entry into the Little Ice Age. While most of the ocean reacts to modern warming, the deep Pacific cools off. "These waters are so old and have not been shallow for so long that they ‘remember’ what happened hundreds of years ago when Europe experienced some of the coldest winters in history," said Jake Gebbie, oceanographer at the WHOI and lead author of the study , which was recently published in the journal Science. "Climate varies over all time periods," adds Peter Huybers, professor of earth and planet sciences at Harvard University and co-author of the study. "Some regional warming and cooling patterns, such as the Little Ice Age, are well known, and our goal was to develop a model of how the ocean's internal properties respond to changes in the surface climate, when the sea surface generally accounts for most of the last Millennia ago, the parts of the ocean that are most isolated from modern warming could still cool down." The model is of course a simplification of the ocean proper. To test the prediction, Gebbie and Huybers compared the cooling trend found in the model with temperature measurements made by scientists aboard the "HMS Challenger" in the 1870s, using modern data from the 1990s. 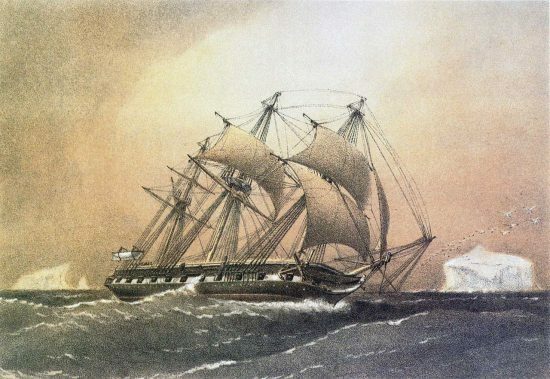 The "HMS Challenger", a three-master, originally designed as a British warship, was used for the world's first modern scientific expedition to explore the ocean and the seabed. During the expedition from 1872 to 1876, thermometers were lowered into the depths of the ocean and more than 5,000 temperature measurements were logged. "We've checked this historical data for outliers and taken into account a variety of corrections associated with pressure on the thermometer and stretching of the hemp rope for lowering thermometers," explains Huybers. 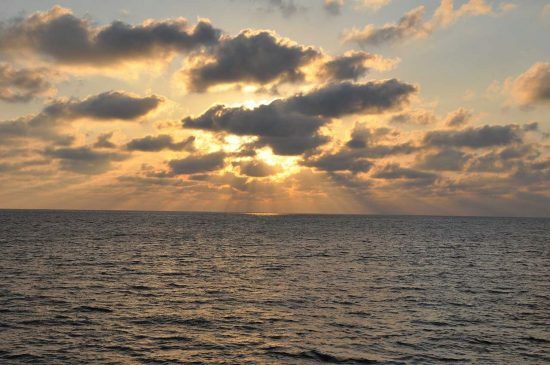 The researchers compared the HMS Challenger data with modern measurements and found warming in most parts of the ocean, as expected from global warming in the 20th century. At depths of about two kilometres, however, the water had cooled in the Pacific. These results suggest that variations in surface climate before the onset of modern warming still influence how much the climate is warming today. Earlier estimates of how much heat Earth had absorbed in the last century came from an ocean that was in equilibrium at the beginning of the Industrial Revolution. Based on their results, Gebbie and Huybers now assume that heat absorption in the 20th century is about 30 percent lower than previously thought. "Part of the heat needed to balance the ocean with an atmosphere of more greenhouse gases apparently already existed in the deep Pacific," says Huybers.